In atomic physics, the Bohr model if the atom (also known as the Rutherford-Bohr model) is modern model of the hydrogen atom introduced by Danish physicist Niels Bohr working with Ernest Rutherford at the University of Manchester in 1913.
the light they emit should have a continuous spectrum. 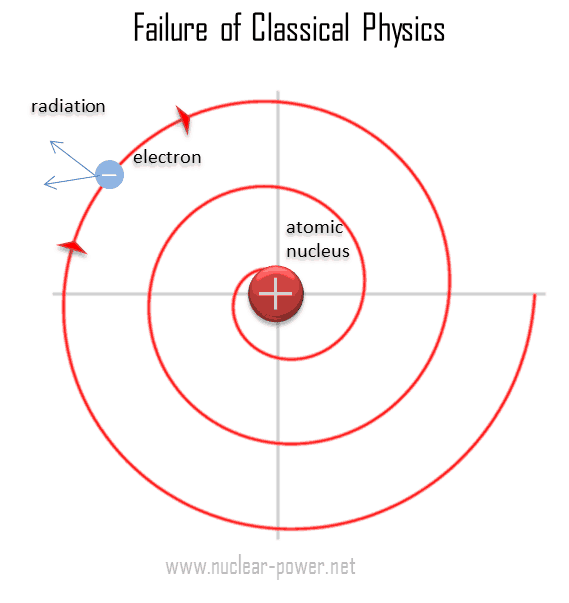 The Bohr model adopted Planck’s quantum hypothesis and he proposed a model in which the electrons of an atom were assumed to orbit the nucleus but could only do so in a finite set of orbits. Planck’s quantum hypothesis (Planck’s law) is named after a German theoretical physicist Max Planck, who proposed it in 1900. Planck’s law is a pioneering result of modern physics and quantum theory. Planck’s hypothesis that energy is radiated and absorbed in discrete “quanta” (or energy packets) precisely matched the observed patterns of blackbody radiation and resolved the ultraviolet catastrophe. Based on this hypothesis, Bohr postulated that an atom emits or absorbs energy only in discrete quanta corresponding to absorption or radiation of a photon. During the emission of a photon, the internal energy of the atom changes by an amount equal to the energy of the photon. Therefore, each atom must be able to exist with only certain specific values of internal energy. Each of these stationary states is characterised by a specific amount of energy called its energy level. An atom can have an amount of internal energy equal to any one of these possible energy levels, but it cannot have an energy intermediate between two levels. The success of Bohr model is in explaining the spectral lines of atomic hydrogen and the Rydberg formula for the spectral emission lines. Bohr’s theory was the first to successfully account for the discrete energy levels of this radiation as measured in the laboratory. The emission line spectrum of hydrogen tells us that atoms of that element emit photons with only certain specific frequencies ƒ and hence certain specific energies equal to E = hƒ, where h = Planck’s constant = 6.63 x 10-34 J.s and f = frequency of the photon. 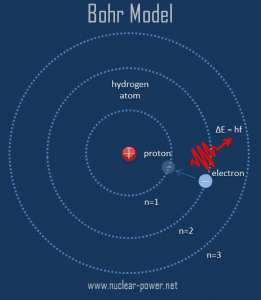 Although Bohr’s atomic model is designed specifically to explain the hydrogen atom, his theories apply generally to the structure of all atoms. Subsequently, Bohr extended the model of hydrogen to give an approximate model for heavier atoms. Heavier atoms, like carbon or oxygen, have more protons in the nucleus, and more electrons to cancel the charge. Bohr’s idea was that each discrete orbit could only hold a certain number of electrons. In 1922, Niels Bohr updated his model of the atom by assuming that certain numbers of electrons corresponded to stable “closed shells”. After that orbit is full, the next energy level would have to be used. This defines an electron shell, which is the set of allowed states and it gives the atom an electron shell structure. 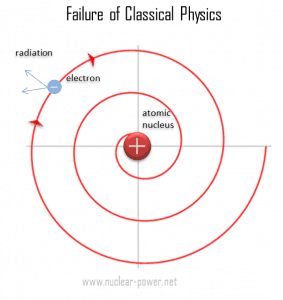 An atom can exist only in certain specific energy states, in which an electron can reside without the emission of radiant energy. Transmission between stationary states can occur only by jumping from one allowed orbit to another. This process produces/absorbs only a discrete quanta of electromagnetic radiation. The angular momentum of a stationary electron is also quantised.